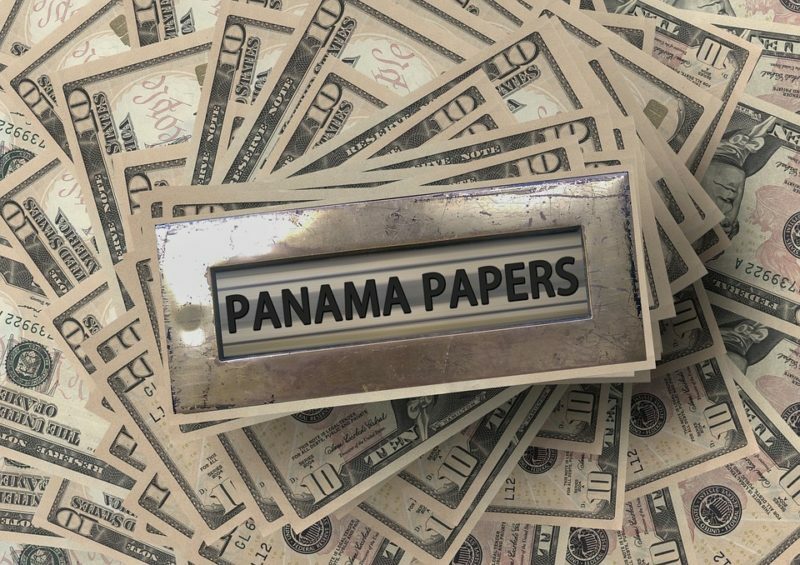 Ever since the news about the Panama papers came out the media has been buzzing. It brought Iceland’s prime minister’s political career to an end, banks that are involved are under fire and around the world there is a general atmosphere of anger and frustration directed at the rich and powerful. What has been brought to the surface by these findings is deemed corrupt and immoral. And I am not going to argue that. But is the desire of the ultra rich to hide their money from the tax collectors really the core of the problem? Will putting in stricter and stronger regulations solve the problem? In my opinion, not really. To understand what lies underneath all this we need to first look at a couple of topics before we tie it all together. If I would tell you: do you want a million dollars? I don’t think you would say no. I even assume that there is a very big chance that the idea of having a million dollars brings up feelings of safety, security and a reduction of stress. Unless you belong to the super rich and than it probably sounds as pocket money. It appeals to our desire to save money for when things get rough. Having money in a savings account serves as a buffer for financially uncertain times. Something that in today’s society is always looming around the corner for most people. And yet, no one really enjoys saving, right? Wouldn’t it just be more fun if we could spend the money we earn on great food, travelling or our hobbies? But that would be dangerous! What would happen if we all of a sudden lost our job? Or become severely ill? So we save. And the more we save, the safer we feel. And after a while, the number in our savings account can become addictive. For some people, seeing that number grow becomes a goal because you can never save too much. In most cases, when people start to amass wealth, they also start hanging out with a different crowd. These people become their peers. When we always hang out with the same people, we start to identify with them. When we always talk with the same people and we have the same ideas, these ideas will become more extreme. Isolation and agreement on a set of ideas is also one of the ways how extremists are made. All this taken together easily explains why the super rich think that it’s up to you to become successful, that everyone can be as successful as they are. Because they all made it, didn’t they? And they worked hard for it. And that’s what drives success. These are all things they agree upon and if they don’t engage with people outside of the wealthy ranks enough then these ideas become entrenched. Then radical ideas like ‘if you are poor then it is solely your own fault’ become truths because everyone they know and trust agrees with them. And the result of that is to create a divide between ‘us’, the hard working upper class, and ‘them’, the lazy poor who just don’t want to put in the necessary work. An objectification has taken place. People do not move from caring, loving individuals into power hungry manipulators overnight. And even power hungry manipulators don’t see themselves that way most of the time. Most people, yes, even the ones we love to hate, act the way they do because they truly believe they are doing the right thing or at least that it’s not really wrong. Ignoring the beggar in the street. We don’t know his story but more often than not we manage to convince ourselves it’s probably his own fault and that he’s probably on drugs and alcohol. Using the car for distances that can easily be walked. If we’d all stop doing this we would reduce the amount of carbon dioxide that is put into the atmosphere but we can easily convince ourselves that our contribution is too little to matter or that it’s ok for just this once … 17 times a week. Buying another one use plastic water bottle although we know that all that plastic is polluting our planet and is really bad for the environment. But just this once is ok because we forgot to bring our re-use bottle with us and what harm will this one bottle do? Investing in a fund that minimizes the taxes we need to pay on it is ok because it’s legal and we are not part of the rich elite. And don’t get me wrong, I am guilty of these things too even though I hate to admit it. And once something has firmly rooted itself in our thinking pattern as being ok, we can tackle the next step. Once we have familiarized ourselves with all the legal ways to minimize our taxes and deemed it ok and not immoral, the door is open to the more shady deals. And another thing that pushes us along is the idea that we are not alone. If I don’t do it, others will. This is a powerful one! Greed, where does it come from? What drives people to stash their wealth in offshore accounts? What makes corporations use offshore branches to avoid taxes? Greed is one way of putting it, another expression is profit maximization. And the rhetoric you will often hear is: but it’s all legal. Even when it is legal it’s definitely debatable whether it’s moral and/or in the interest of society as a whole but as explained above, that perspective might be skewed by other factors. What I often hear people say is that greed is part of human nature. I don’t completely agree with that. Greed does not come out of nowhere, it needs to be triggered by something. And that something is scarcity. When you are at a wedding and the food is served as a buffet, there are 2 situations that might occur. Either there is an abundance of food and the empty dishes are constantly replenished or their is a limited supply and after a while some dishes simply run out. At these buffets there are always people who stack their plate as high as possible. Now, when there is an abundance in food this is not a problem. You might look at these people and roll your eyes but you won’t be stressed out with fear that there will not be anything left for you. This completely changes when the amount of available food is limited. In that case, if you are at the end of the line and everyone in front of you just takes as much food as their plates can hold you just might end up with scraps by the time it’s your turn. In the case of abundance you probably think something along the lines of: ‘She mustn’t have eaten in days!’ or ‘My, does he have a big appetite!’. You would most likely not project the label ‘greedy’ upon them because there is enough to go around. When the food supply is limited though, ‘greedy’ will come to the top of your mind way more readily. From the perspective of the taker, something changes too. When there is an abundance of food, there is no need to grab everything you would like to eat in the first pass. You can easily come back for seconds and thirds or even fourths if you want to. When you know there is only a limited amount of food available however, you better make sure you get something of everything you want from the get go because it might be gone by the time you come around for seconds. You now have an incentive that fuels your greed out of fear of not having enough. And this makes it worse for everyone. There is more stress and more discipline is needed if everyone wants to have enough. So, the question begs, is there a scarcity in money? If we look at our national debts, all the austerity measures governments are implementing and the fact that most people are struggling with their budgets I’d say the answer to that is a resounding yes. It is exactly this scarcity in money that lies at the heart of it all. It creates an incentive for hoarding. Most of us live in fear of running out of money. So the more we can hoard, the better we can protect ourselves from that situation. And once we become used to large amounts of money, we will also start spending more and it feels like we need more too. This especially happens when we spend time with people who have more than we do. But why is there a scarcity in money? Why do we need to save for a rainy day? Is this really necessary? These are the questions that need to be asked because in terms of resources there is enough for everyone. Then why can we not distribute it to everyone? The simple answer to that is: money stands in the way or in other words, there is not enough money to do that. But money is something we invented! For the most part these days it’s just numbers in a computer system. So how can there not be enough? That is because the way it is designed, the way it works. By that I mean the creation of money, its relationship to debt and the workings of compound interest on that debt. And that is what we need to start looking at. How can we create a better monetary system? As long as we avoid that conversation we will never really solve the problem. We can put new regulations in place and the financial world will come up with new ways around it. Sure, if all countries in the world work together on this we could make it work but the amount of energy required to do that is astronomical! And I deem the chances for success to be minimal for the simple reason that the monetary system itself has a lure to corruption built into it and that lure can not be eradicated if the system itself is not changed. Is there a perfect monetary system? I’m pretty sure there isn’t. Every system will have its shortcomings but it’s not about creating the perfect monetary system, it’s about creating a better one. And that is not so hard. Originally published at The Stand-Up Way.